The Trump Nuclear Agreement with North Korea: What Could Go Wrong? "I don't know that the president would ever admit that it's over." "But if the North Koreans don't move the ball forward, Bolton will argue to Trump, 'You don't have to admit you were wrong, but we need to start escalating against them to force them to keep their commitments'." "We took the step to suspend several of the largest exercises as a good-faith measure coming out of the Singapore summit." "We have no plans at this time to suspend any more [joint U.S.-South Korea military] exercises." "We're waiting for the North Koreans to begin the process of denuclearization, which they committed to in Singapore and which they've not yet done." "Maximum pressure on both governments to give up their pursuit of deliverable nuclear weapons, but a willingness to talk to their leaders to see if there's a way out." "[North Korea was under] tremendous pressure [from China, but Beijing was also supplying Pyongyang with] considerable aid, [including fuel, fertilizer and commodities]. This is not helpful!” "Nonetheless, the President believes that his relationship with Kim Jong Un is very good and warm, and there is no reason at this time to be spending large amounts of money on joint US-South Korea war games." "Besides, the President can instantly start the joint exercises again with South Korea, and Japan, if he so chooses. If he does, they will be far bigger than ever before." "[U.S. trade dispute with China and other differences] will be resolved in time by President Trump and China’s great President Xi Jinping. Their relationship and bond remain very strong." Confused? Little wonder. 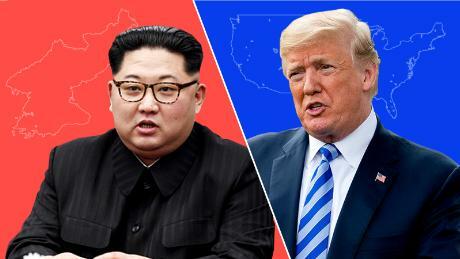 The messages are contrary and mixed, and it's doubtful whether anyone really knows the extent of the consternation in the White House over North Korea's impudent nerve in sending a belligerent, threatening missive to President Trump, from a top North Korean official. Trump, however, never wants to admit he has been wrong about anything. And so, the pantomime continues, unwilling to draw attention to the reality that North Korea's Kim Jong-un has no intention whatever of setting aside his 'nuclear deterrence' plans any time soon. North Korea may be strapped for cash, but it has invested untold billions in its drive to perfect long-range intercontinental ballistic missiles and the streamlining of miniaturized nuclear heads to be fitted on them to reach the U.S. Pacific coast as Kim has so frequently boasted. 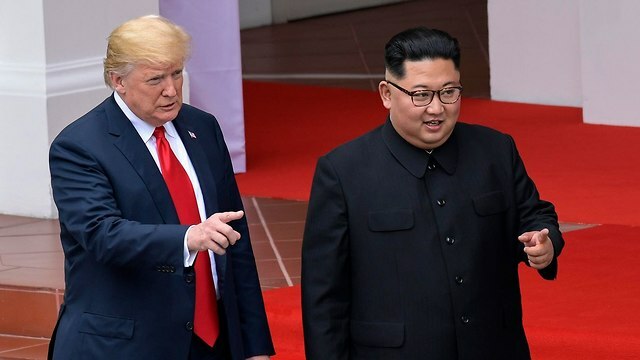 The attention Kim so much craved from an American president became a reality when Trump decided he would indulge the little tyrant, because a big bully recognizing one of his own knows that flattery and attention can work wonders, but in this instance his ministrations failed to soothe the nuclear beast in Kim's breast. 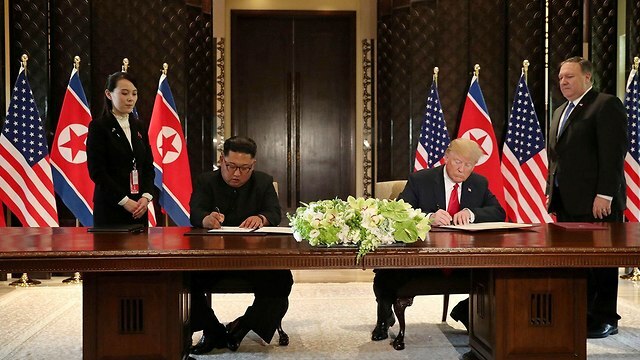 Predictably, most would say, given past history and the repetitive efforts to assuage North Korea's concerns of invasion and upheaval of the Kim dynasty. Kim Yong Chol, vice chairman of North Korea's ruling Workers' Party Central Committee on orders from Kim Jong-un revealed the extent of the North's continued hostility, resentment and psychotic threats that remain posed against the U.S., South Korea and Japan. Mike Pompeo, to whom the letter was aimed, recognizes the futility of further negotiations, as does Bolton and Mattis, but Trump doesn't like being poked in the eye. It seems clear enough that Trump's stream of communications conveyed to Kim Jong-un remonstrating with him that an acceleration of denuclearization would go a long way to complete normalization and diplomacy between the two countries, warning that backsliding would not be tolerated, all of which would have been interpreted as intolerable interference by a foreign entity in North Korea's affairs of state and defence. Kim responded in an as-good-as 'screw you' manner, failing to endear himself completely with Trump. Still, because it was his own bold initiative to open up dialogue between Washington and Pyongyang and because he so publicly yodelled his remarkable success where all others had spectacularly failed, Trump has been placed in a position where he will feel humiliated and appear unequal to the task he himself set for himself to prove just how persuasive a personality he is, cosmopolitan, charming and irresistible. Just like Kim himself. As for depending on the good advice of seasoned veterans like Bolton, Trump prefers his own inimitable counsel. Bolton is opposed to offering concessions inclusive of face-to-face meetings which he infers are received by the North Koreans as symptoms of weakness on the part of those attempging to convince them to do what they they have no appetite to commit to. But if any of Trump's stalwart advisers, from Mattis to Bolton to Pompeo can expect anything, it is for their firm statements of intent to be contradicted by Trump. "With shame and repentance, we acknowledge as an ecclesiastical community that we were not where we should have been, that we did not act in a timely manner, realizing the magnitude and the gravity of the damage done to so many lives." Pope Francis, letter to "the People of God"
"Holy Father, I don’t know if you know Cardinal McCarrick, but if you ask the Congregation of Bishops, there is a dossier this thick about him. He corrupted generations of seminarians and priests, and Pope Benedict ordered him to withdraw to a life of prayer and penance." The Pope, the earthly messenger of god, has condemned in shame and sorrow and no uncertain words, the sacrilegious assault on children by men of the cloth, and in so doing has brought censure to the Roman Catholic Church. The revelations that seem never to stop, of the Church hierarchy being aware of the predation of priests on children and mature parishioners and simply carrying on as though nothing untoward had occurred left those abused and traumatized survivors of sexual abuse to fend on their own, while assigning the priests to similar duty elsewhere to continue their abuse. 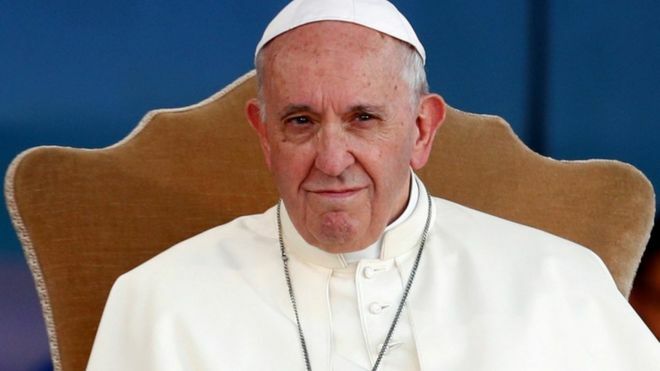 The moral authority of Pope Francis might never be questioned; after all, he was a refreshing new personality as the leader of over one billion Catholics worldwide, the representation on Earth of God Almighty. And then Archbishop Carlo Maria Vigano, formerly papal ambassador to Washington, revealed in a letter that not only were senior churchmen aware that former cardinal Theodore McCarrick molested young men, but so too was the pope. And the pope before him, leading Benedict to remove him from active duty "putting him out to pasture", but refraining from calling police. When Pope Francis assumed his duties he saw fit, it seems, to recall McCarrick from obscurity and bring him into his personal fold more latterly, as a close and esteemed adviser. From his retreat to a life of "prayer and penance", to a return to the high echelons of the Church. The National Catholic Reporter in 2014 described Archbishop McCarrick as enjoying a "renaissance" as a papal adviser. "The bad ones, they never die! ", Pope Francis is said to have jocularly remarked. According to Archbishop Carlo Maria Vigano, the Pope had full knowledge of the corrupt nature of McCarrick yet "covered for him to the bitter end". That end arrived when McCarrick was exposed only a few weeks earlier when Pope Francis had little alternative but to order McCarrick into the dark tower of "prayer and penance", in order "to save his image in the media", according to Vigano, who appears to have a personal vendetta against Pope Francis whom he seems to identify as a hypocrite of outstanding sanctimony. "If you're nice to Francis, Francis is nice to you", remarked one unnamed resident of the Vatican of a Pope militant in defence of a Chilean bishop accused by victims of child abuse of covering up the actions of an abusing priest whom Francis was shamed into apologizing for his defence of the bishop. As a judge of character, the Pope's choice of nine cardinals appointed to his advisory team, seem in retrospect ill-advised, since three stand accused of failing to handle the crisis of abuse adequately; another charged with mismanaging finances. "I hope Francis will do that [answer to Vigano's charges]. I hope Vigano is proved wrong. If not, the word "resignation" will be put about, thanks to Benedict XVI, there is now precedent. If Francis is tarnished and does not quit, it will be what a priest describes to me as "a virtual resignation": a Pope in office, but without authority. And this, surely, will shake my own faith, will it not?" "I read the statement this morning, and I must tell you sincerely that, I must say this, to you and all those who are interested: Read the statement carefully and make your own judgment. I will not say a single word on this." "[I believe in the] journalistic capacity to draw your own conclusions [as an] act of faith." "When some time passes and you have drawn your conclusions, I may speak. But I would like your professional maturity to do the work for you. It will be good for you [members of the press]." "We be lookin' for our red fish as normal, think' they be fishin', too. They be needin' help?" "Then we knowin'. They be pirates." "The man talkin' Spanish, he point the gun at me, then he point at the water. I be knowin'. He be wantin' that I jump." "I had already reached the rig, so I had to be jumpin' back in, to help him [another crewman suffering a cramp]." "He was goin' to be drownin'." 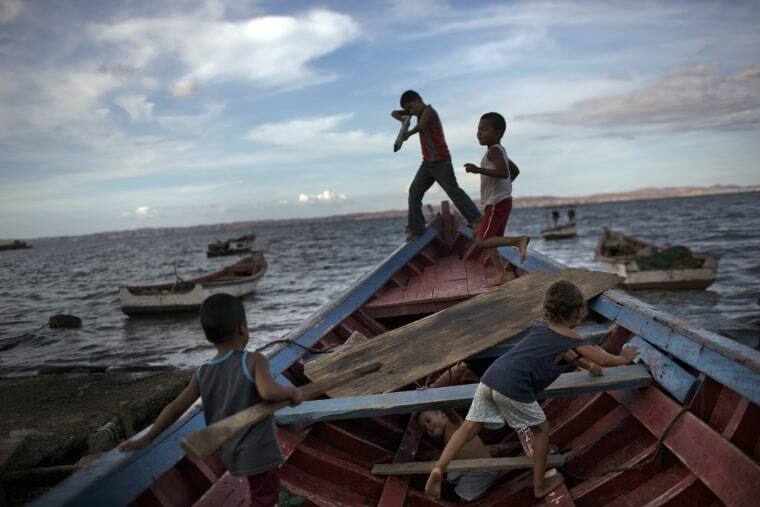 "They said they would take the boat and that everyone should jump overboard. I tried to keep my head above water so I could get air." "I drank a lot of salt water. I looked to the stars and moon. I just hoped and prayed." "This reminds me of how the problems started off the coast of eastern Africa [with Somali pirates]." "What we're seeing -- the piracy, the smuggling -- it's the result of Venezuela's political and economic collapse." Muggings on the high seas, threats, murder, looting, boats captured, crews told to swim or sink. Four Guyanese fishing boats 40 kilometres off the coast of Guyana were exposed to the new dangers lurking in the waters they all ply to make their living as fishermen. The survivors of the crews of those four boats describe being doused with hot oil, of being hacked with machetes, thrown overboard, their boats stolen. Most of the crew members died, or have been declared missing. Twenty managed to live to tell about their ordeal. Close to Honduras, Nicaragua, Haiti and St. Lucia, piracy on the high seas has been reported over the past year and a half. The surge in piracy has its epicentre off the coast of Venezuela where that nation's economic crisis has seen inflation soaring close to a million percent, with food and medicine hard to come by and malnutrition spreading. Water and power grids experiencing a lack of trained staff and spare parts, and failing to operate as needed public utilities. Venezuelan police and its military abandoning posts in response to worthless paycheques. The socialist revolutionary government of President Nicolas Maduro, inheriting the throne from Hugo Chavez, corrupt beyond measure, using extraordinary repression to keep the masses in check. 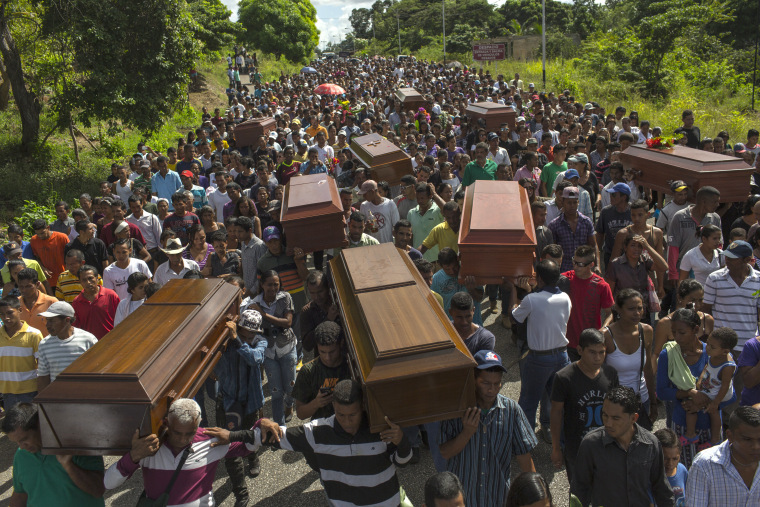 People are dying from lack of food and medical attention. Hundreds of thousands of Venezuelans have migrated in a desperate search for haven in neighbouring countries, hoping for rescue from their desperate existential plight. Desperate times makes for desperate alternatives and harden the human conscience. Venezuelan vessels themselves are being raided; knives and guns brandished to emphasize the determination of the raiders to complete their mission, tying up crew, stealing food and electronics. According to the Commercial Crime Services division of the International Chamber of Commerce based in London, such incidents have become commonplace, emanating from Venezuelan desperation. The situation deteriorating rapidly has seen crime proliferate with drug smugglers shipping Colombian cocaine from Venezuelan ports to Trinidad and other Caribbean countries. Trinidadian fishermen fear for their safety, in witness of Venezuelan boats smuggling military-issue guns along with drugs, exotic animals and women. The flow of automatic weapons out of Venezuela, some appearing to be looted from military stores, is contributing to homicide rates proliferating in Trinidad. When the hijacking of the boat that Jimmy Lalla was on was reported to Trinidadian officials they responded that "We have no boat to go after them; we can do nothing." "We’ll start negotiating with Canada relatively soon, they want to negotiate very badly. But one way or the other, we have a deal with Canada. It will either be a tariff on cars, or it will be a negotiated deal; and frankly a tariff on cars is a much easier way to go, but perhaps the other would be much better for Canada." "We’re looking to help our neighbours. If we can help our neighbours, that’s a good thing, not a bad thing. So, we’ll start that negotiation imminently." "Deal with Mexico is coming along nicely. Autoworkers and farmers must be taken care of or there will be no deal. New President of Mexico has been an absolute gentleman. Canada must wait." "Canada is very encouraged by the optimism we have heard from our partners Mexico and the United States. I've been talking to representatives of those countries a lot this week." "They seem encouraged and optimistic about the progress they've been making in resolving their bilateral issues." "I've made it very clear. I support supply management and I don't believe that that is a situation we need to be in [putting it on the table for a NAFTA deal]. The Conservative government in the past, when the free trade agreement was originally signed with the United States, was to preserve and protect NAFTA. And I think some of the things that are lost in this conversation is the vast myriad of support systems that the U.S. has for their own producers. That's not part of this conversation." "So everything from floor prices to their own quota system, in many, many states, as well as the U.S. farm bill." "Canada has a little bit of negotiating power, but not a lot of negotiating power. Canada would have to accept most of what the U.S. and Mexico have agreed to, which, in my opinion, is not bad — not bad at all." "There are some other issues that are a major irritant, the most important of which is the dairy sector and I think Canada would have to give some ground on that..."
Running scared? Not the Liberal government of Justin Trudeau! He thought he could stick-handle Trump, but somehow his ego got in the way and after the G-7 conference he couldn't resist the urge to maintain that Canada wouldn't be pushed around. Trump is practised at pushing and he is in a position to get results. Canadian trade experts and journalistic commentators months back predicted the U.S. had nothing against Canada in the trade deal; Trump's ire was targeted directly at Mexico for the trade imbalance that so irritated him. And Canada nobly let it be known that though they could swiftly come to an agreement with the U.S. bilaterally, they wouldn't think of it. Abandon Mexico? Not bloody likely, there's honour involved and this government is nothing if not honourable -- according to its version of what constitutes honour. Don't ask. And then somehow the tables were turned, and Canada's negotiators were invited out of the meeting and suddenly it wasn't Canada conferring with the U.S. and bringing Mexico along, it was Mexico bargaining with the U.S. and Canada outside, waiting to be allowed back in. Oops, sorry about that. Prime Minister Trudeau knows how vital Quebec is to his future prospects of re-election in 2019 and has made no secret of his commitment to the number one trade irritant for the irascible, determined Trump who has no interest whatever in trade facts, only his own outcomes in making the deal one he can brag about; the bully and the beggars. Trudeau infuriated Trump by his declaration of resolution, and Freeland offended Trump's chief negotiator by going 'behind his back'. Guess they didn't have time to read the seminal instruction in How to Make Friends and Influence People. How's this for deflating the Canadian ego as exemplified by Trudeau & Company? (We can stick Conservative leader Scheer in there as well) "We’re starting negotiations with Canada pretty much immediately." The Canadian economy, he added is "a smaller segment, Mexico is a very large trading partner." Take that! Or lump it, your preference, Canajuns! "They used to call it NAFTA. We’re going to call it the United States-Mexico Trade Agreement. We’ll get rid of the name NAFTA", he added for good measure. Wait, Canada's turn to tune in to NAFTA! And Canada, as usual is prepared to "punch above its weight". "This is nuts. It has changed my entire outlook about people, my outlook about people has skyrocketed. It's the best Thanksgiving that I've ever had." "He [homeless man Johnny Bobbitt, 35] will never have to worry about a roof over his head again!!" "Giving him [Johnny Bobbitt] all that money, it's never going to happen. I'll burn it in front of him." "[Giving an] addict [the money would be like] giving him a loaded gun." "From what I can see, the GoFundMe account raised $402,000 and GoFundMe charged a fee of approximately $30,000." "Mark D'Amico and Kate McClure gave Johnny about $75,000. There should be close to another $300,000 available to Johnny." 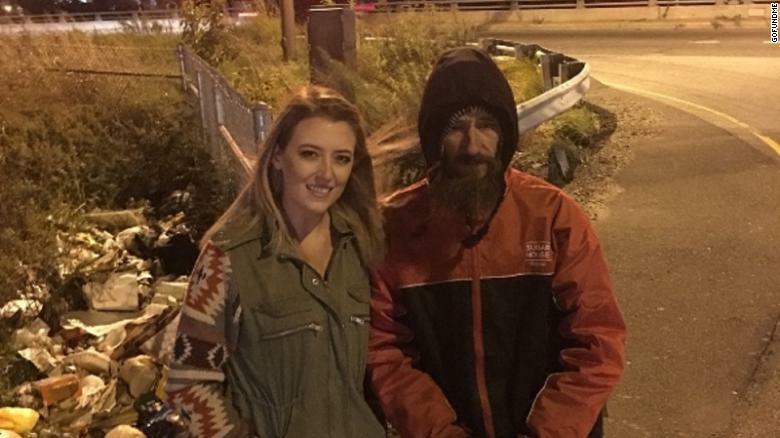 Kate McClure helped raise more than $400,000 for Johnny Bobbitt Jr., a homeless man, to repay his kindness. Stranded on the Interstate 95 in Philadelphia, out of gas, and with no money to pay for the fuel, a stranger approached Kate McClure, handed over his last $20 to help her out of her dilemma. The grateful young woman and her boyfriend, Mark D'Amico decided to track down the homeless man and do something to help him, in turn. 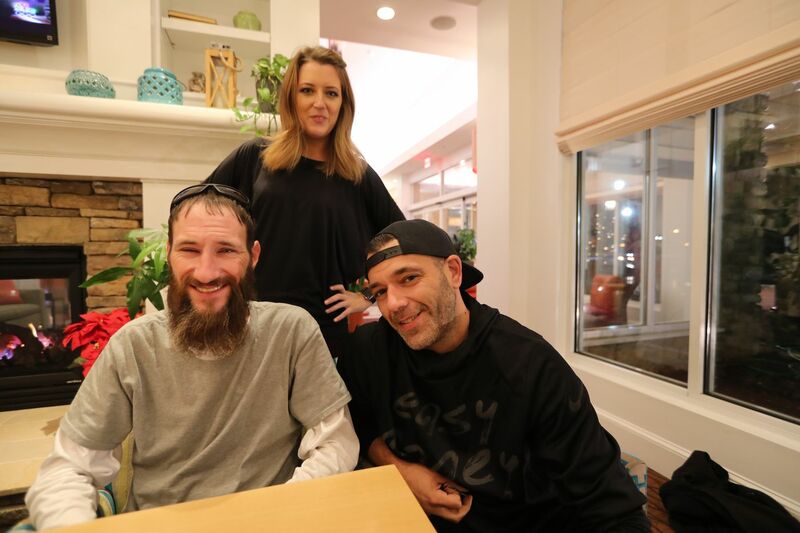 They turned to GoFundMe and began a fund-raising campaign for him, explaining what he had done, though homeless, for a complete stranger, depriving himself for someone else. The fund went viral. People responded in astonishing numbers; by the time it reached $65,000, Kate McClure was expressing her amazement at people's compassion and generosity. The fund kept growing until it reached a truly impressive $400,000 from contributors all over the world who were themselves impressed by the selfless reaction of the homeless man to the temporary plight of a young woman. Bobbitt, an ex-Marine and firefighter began living on a camper on land owned by McClure's family. He had a place to live, but he was penniless, with no money to buy food, seek medical attention or any other necessity of life. And he began wondering how it was that a young woman who worked as a receptionist could possibly afford to buy a new BMW and go to California, Florida and Las Vegas for vacations with her boyfriend, taking a helicopter ride over the Grand Canyon for good measure. He knew that D'Amico, working as a carpenter, was a gambler. Johnny Bobbitt with Kate McClure and Mark D’Amico last year. The funds that had been gathered through the GoFundMe campaign weren't released to the man they were supposed to give prospects for funding a new life to, other than an initial amount used to buy that camper. D'Amico confessed to having used five hundred dollars of that total collected for gambling, but stated he had restored that money to the total. McClure said none of the money meant for Bobbitt had funded her vacations or her vehicle; it was all her own money. GoFundMe is prepared to investigate whether the $400,000 was mismanaged and it plans to ensure that Bobbitt "receives the help he deserves and that the donors' intentions are honoured". Strangely enough, only $200,000 remains in the fund of the total donors raised of $400,000 and Bobbitt no longer has that camper. Still, McClure insists she and her boyfriend did all they possibly could to aid the homeless man. "I think it might have been good intentions in the beginning, but with that amount of money, I think it became greed", speculated Bobbitt. Pro bono lawyers with whom Bobbitt had been put in touch by homeless advocates are determined to see justice done. "I think he is just a genuine, sincere person who has been the victim of so many bad circumstances", said Jacqueline Promisio, one of the lawyers working on Johnny Bobbitt's behalf. She and her colleague Chris Fallon are representing Bobbitt's interests. 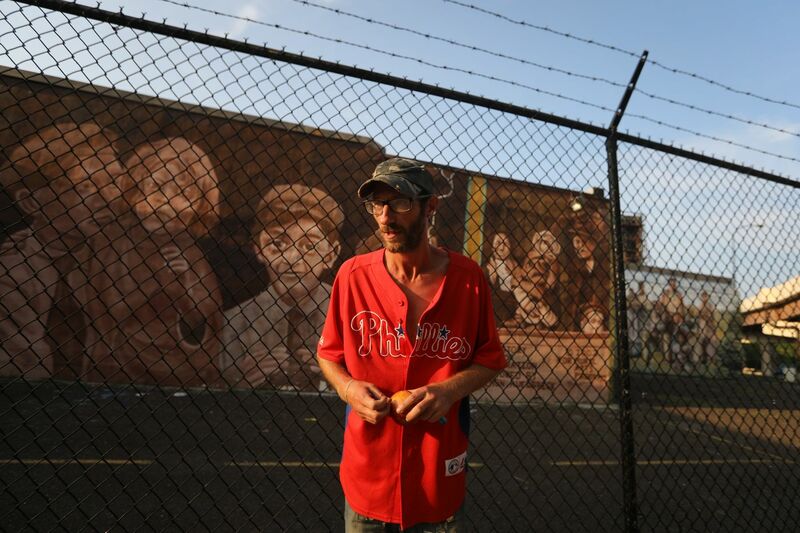 Johnny Bobbitt returned to Philadelphia, homeless and broke despite the generosity of donors. "I don't know how he [Trump] learned of the case, but it was very clear that he knew this individual as a Nazi guard and wanted him out of the United States." "[The Germans] saw this as a moral obligation that they had, not so much a legal obligation." "All of my five predecessors assumed that they'd be the last person in this office." "In recent years, though, we've made some remarkable progress." "I don't take those papers [thousands of file cards replete with Nazi criminal details] home with me. I just wouldn't be able to let it go." Up to a few years ago German war crime prosecutors faced prosecution hurdles making it impossible to charge suspects who had participated in Nazi Germany's "Final Solution" and the operation of slave labour and death camps. "By 1960, murder and abetting murder were the only Nazi-era crimes that prosecutors could charge", explained Elizabeth Barry White, senior historian with the Holocaust Memorial Museum in Washington. Under the stricture of these guidelines high-ranking Nazi officials were charged if at all with lesser offences since it could not be proven in a court of law that they had direct responsibility for the murder of one or more individuals, based on the narrow German prosecution guidelines. Most frequently, lower-ranking guards or soldiers who took part in the Nazi extermination machinery of Jews, gypsies, gays, the mentally and physically challenged, and political prisoners got off free. In 2011, after a court convicted former Nazi guard John Demjanjuk, the matter finally changed where the recognition was raised of soldiers or guards' presence at a Nazi death camp would be considered evidence of responsibility for the murders, unlike prior to 2011 when prosecutors had to provide evidence that the guards themselves murdered Jews or others held in the death camps. At a time when many of those involved in the scheme to exterminate all of Europe's Jews have died after living out their lives post-Holocaust, or are now close to death, a mockery was made of holding those involved to account for the millions who perished over 70 years ago, leaving tens of thousands of Nazi criminal involved directly in the Holocaust, to simply melt into the general population and live out their lifespans without fear of apprehension. While some of these ex Nazis made their way abroad, others simply remained in the country of their birth, with few facing justice. Of late, however, 23 alleged Nazi criminals believed to have worked in the death camps are now facing charges in Germany and Austria; a pitiful number, but a dramatic increase when considering previous decades when nothing was done to call Nazi criminals to account. Early this week the White House announced the deportation of 95-year-old New York resident Jakiw Palij, known to have been a Nazi guard, but living post-war in the United States. Arrested and deported to Germany, Palij on arrival in Germany was placed in a nursing home in Dusseldorf. Born in what was then a part of Poland now part of Ukraine, he left Europe for the U.S. at war's end and became a citizen in 1957, never having declared details of his past. For whatever reason, in 2001 the man spoke of his involvement with the Nazi SS, the paramilitary organization of Nazi Germany, complicit in carrying out Hitler's orders of Jewish extermination. Documents are in hand proving that Palij knew of, and participated in the Holocaust. He was trained at the SS paramilitary camp in the town of Trawniki with units prepared specifically to take part in the Holocaust. He worked as well at Trawniki labour camp the year Nazis massacred 6,000 Jews there. His citizenship was revoked, though Palij protested that while he was present he hadn't participated in any of the killings. He lost an appeals process in 2005, but the problem of which country would claim him for deportation remained unresolved until recently; neither Germany, Ukraine nor Poland would accept Palij. Germany finally relented on the basis that it was Germany that planned and executed the Holocaust. 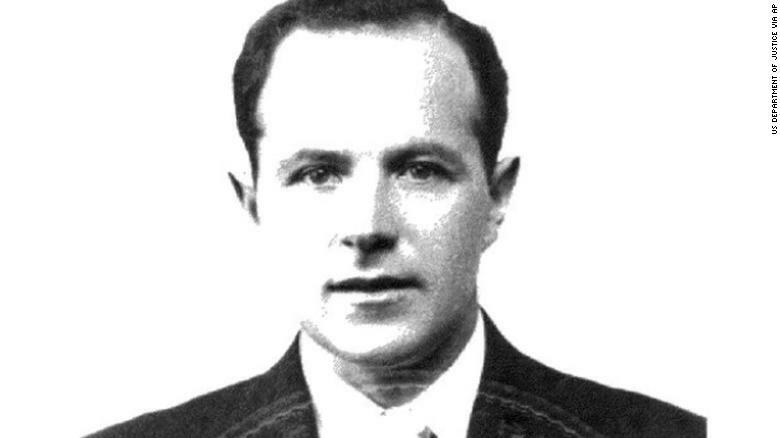 Palij is now among two dozen Nazi suspects now under investigation by the Nazi crimes agency based in Ludwigsburg all of whom are in their 90s, some expected to die before any sentencing, or who could be declared unfit to stand trial. "Palij will spend the rest of his life here. The Nazi collaborator will now be cared for, receive financial help, a roof, food, clothing, paid for by the state." "Even though there is not enough evidence to prosecute him, nevertheless it is good that Germany has taken him in, because the crimes of national socialism bring with them responsibility ... after all, were it not for the Germans, Palij would never have become a Nazi collaborator." "Pakistanis are hoping against hope that somebody is going to bring about changes." "But I do think despite all the things Imran wants to do, there is a feeling that we may be in a scenario where much of the 'Naya' [new] Pakistan may be a bit like the old Pakistan -- more of the same." Ayesha Jalal, Pakistani historian, professor of history, Tufts University, Mass. "I don't know if he will be good for the country, but he adds to the confusion in the narrative." "He is a polarizing force, like Modi and Trump." "They do not discourage their followers from taking up divisive positions and abusing or attacking those who disagree with them." "As a cricket hero, he united the country, but as a politician, he is very polarizing." "He is a cult of personality and people are really attracted to him because of his charisma, but there are a lot of people in Pakistan who hate him. They think he has a soft spot for terror, are very much against some of his views towards women, so do not think he is very smart." 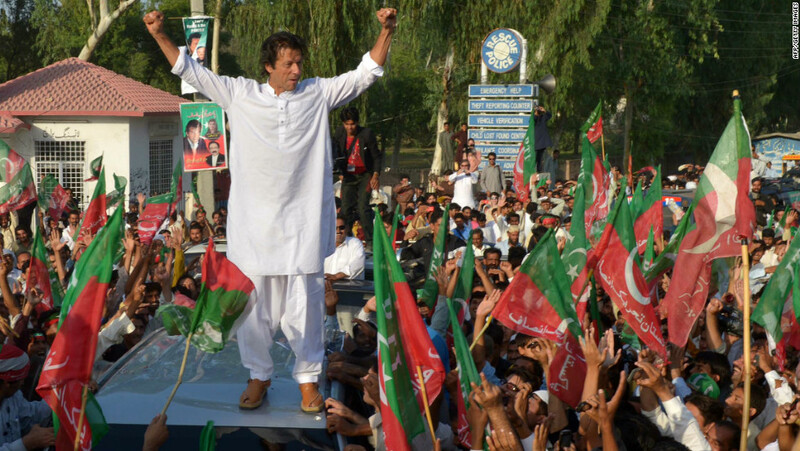 Pakistan cricket star turned politician Imran Khan gestures as he stands on a vehicle during a rally in Mianwali, northern Pakistan, on October 6, 2012. Pakistan is a country that breeds trouble for its neighbour Afghanistan. Its hill tribes answer to no government agency. It provokes violent confrontations with India over Kashmir. It is a nuclear country with stockpiles of nuclear weapons. And it is notoriously intolerant of other religions, while also being the source of jihadist terrorists prowling about on the world stage. Even its diplomats, such as those in Canada, pose a threat to peace and security, threatening those who question the country's despicable reputation. Pakistanis who become citizens in Europe and North America are often identified as violent Islamists. The country is undergoing hard economic times, in contrast to its neighbour India and that contrast is infuriating to Pakistan. The 207 million people of Pakistan, once part of India, expect their country to expand its middle class demographic, but its economic straits mitigate against that anytime soon. Corruption and elitism, a military and a secret service infiltrated by Islamists does not represent a formula for an encouraging future. Its newly-elected prime minister, 65-year-old Imran Khan's reputation and campaign promises brought his Tehreek-e-Insaaf party to power. And he is promising to solve a problem of a hugely indebted country whose economy of $300 billion has faltered thanks to corrupt political regimes where basic necessities are unavailable to its citizens. The economy is in such dire straits it must look to a financial saviour and China is happy to oblige, building a China-Pakistan Economic Corridor cutting the length of Pakistan to connect China to the Indian Ocean, the $62-billion investment reflecting part of China's massive Belt and Road Initiative, in the process indebting Pakistan to China, impacting the former's sovereignty. In view of the parlous state of affairs, Mr. Khan plans to live modestly, with his third wife, an Islamist who is also a practitioner of the occult. Mr. Khan speaks piously of the need for equality between men and women, but he has himself become fundamentally Islamist, shedding his secular celebrity persona in favour of deep devotion to Islam, favouring the burqa his ultra-religious wife affects. They plan to have two servants and live in a three-bedroom house, eschewing the palatial estate reserved for head of state, in view of an austerity drive facing up to the country's economic crisis. Of course, the country has a moral, human rights crisis as well, in that it views conversion from Islam to Christianity a capital offence as is any opinion expressed critical of Islam. There are Christians on death row awaiting their final punishment resulting from their having been charged and found guilty of blasphemy in a justice system utterly intolerant of deviance of Sharia law in an Islamist nation that under its new prime minister is expected to become ever more unforgivingly fundamental in its religious devotion. He muses that a prospect for transforming the prime minister's residence to a university might be useful. The 524 household staff will be let go. The fleet of 80 vehicles, 33 of which are bulletproof will be sold, two only to be maintained for his use. "I want to tell my people, I will live a simple life, I will save your money", he said. He plans to call on the wealthy to begin paying taxes. And Pakistanis living abroad should return their money to domestic banks to help the country overcome its foreign currency crisis. Opposition parties feel disappointed that the new prime minister made no mention in his 70-minute speech to the public of how growing extremism will be dealt with. That Khan himself has been accused of emboldening those extremists through invoking his own hard-line issues on blasphemy on the campaign trail, strikes some as boding ill on that file. A bailout of $12-billion is urgent, reflecting the debt crisis. Yet Khan contemplating the country's spiral of debt balks at borrowing to pay the interest on earlier loans. He would prefer rather than begging internationally for money for Pakistani expatriates to send their money back home: "I want you to bring your money to Pakistan. To keep your money in Pakistani banks. Right now we are short on dollars. There is a huge trade gap right now", he stated. Among his promises -- solving poverty and malnutrition, and eradicating some of the world's highest maternal and infant mortality rates. Much less the need to educate the 22.8 million Pakistani children who don't attend school. 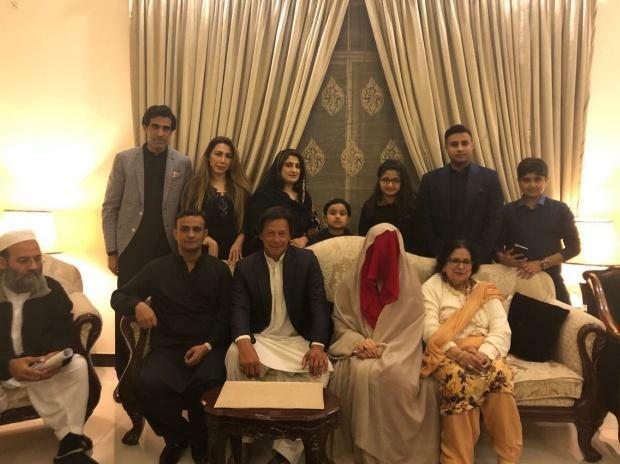 Social media exploded with jokes and memes when Pakistan Tehreek-e-Insaf (PTI) and former cricketer Imran Khan on Sunday announced his third marriage with Bushra Maneka, who was his spiritual adviser. "I got that person [Turk arrested in Israel] out for him. I expect him to let this very innocent and wonderful man and great father and great Christian out of Turkey." "I'm not concerned at all [over the potential of economic fallout in Europe]. I'm not concerned. This is the proper thing to do." "I think it's very sad what Turkey is doing [refusing to release Pastor Andrew Brunson]." "I think they're making a terrible mistake. There will be no concessions." "The United Nations prohibits the use of 'environmental modification techniques'— including the deliberate setting of forest fires— for military purposes under the Convention on the Prohibition of Military or Any Other Hostile Use of Environmental Modification Techniques of 1976." "Turkey is a signatory to this agreement, but has not ratified it. It continues to use attacks on the environment and natural resources as tools of war across Kurdistan— such as the Ilisu Dam project in Hasankeyf, which would submerge 50 villages and several historic sites. Guner Yanlic, a member of the Hevsel Protection Platform, told ANF that dams in Kurdistan are an 'extension of the security policy, as well as a project to create cheap workers in big cities by cutting off social communication and forcing people to migrate.' This is similar to the purpose of the forest fires set by the state, which are also used to force displacement." "The Turkish military has used forest fires as a weapon of war against both armed Kurdish groups and Kurdish civilians’ lives and livelihoods for decades. In the 1990s, during campaigns of forced displacement, eyewitnesses report seeing Turkish troops setting these fires in forests close to populated areas. A 1995 Human Rights Watch report, Weapons Transfers and Violations of the Laws of War in Turkey, details several instances of this phenomenon." 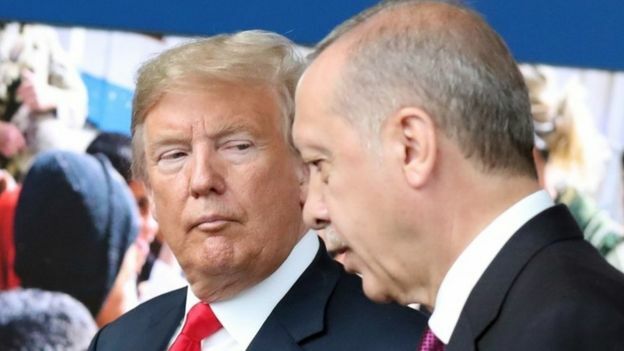 NATO's second largest army after that of the United States, places Turkey as an anchor on the eastern flank where Turkey is viewed as a bridge between the West and the Muslim world. And so it was and has been until lately. Secular Turkey, bequeathed by Kamal Ataturk is no longer, and so it no longer serves its traditional East-West role because Turkey is now firmly Islamist and Recep Tayyip Erdogan which brought it to this position through careful political manipulation and religious demagoguery, has conditioned Turks to consider the West an oppressor and enemy of the Turks. The ties that have anchored Turkey to NATO and the West have noticeably frayed, and likely quite beyond repair. At least for the length of the Erdogan Justice and Development Party. And Erdogan has engineered a situation where he will not be easily removed, ensconcing himself as president for life, a modern-day Sultan whose reign is supreme. He has become a thorn in NATO's side, and his animosity for the West and the United States in particular, though that Europe is not exactly favoured by him now, has become legendary in fits of belligerent threats and accusations. The attempted coup that almost removed him from power two years ago was a heaven-sent opportunity for Erdogan to portray himself under siege by the United States directing the powerful Fethullah Gul, his political Islamist nemesis, to remove Erdogan and his party from its irritating power base. Assuming that Erdogan hadn't himself engineered the failed putsch, its fallout enabled him to 'identify' his enemies in the tens of thousands of military, police, lawyers, justices, teachers, journalists, to arrest and imprison them. His major argument now with the United States is Washington's disinterest in handing over the self-exiled Gul, living in the United States, to stand trial so that justice in Turkey can be advanced, as a traitor to the government's interests. Pastor Brunton who has been held under house arrest for the past two years on charges of aiding that coup has led to the diplomatic stand-off which has resulted in painful sanctions imposed on Turkey leading to the near collapse of its economy and the subsequent drop in the lira, with foreign investors making themselves scarce. Erdogan's rage against the U.S. also stems from its support for Syrian and Iraqi Kurds who proved successful in militarily opposing the seemingly unstoppable Islamic State of Iraq and the Levant's leverage of both countries' territories, wreaking havoc and enjoying their reputation for barbaric atrocities. Erdogan's insistence that the Kurds are all terrorists linked to the Turkish PKK, and his fury that Kurds are considered by NATO and the U.S. as allies has led to his further distancing himself from both. Making ingratiating accommodation with Vladimir Putin in Syria to benefit both their interests, Erdogan's decision to install a Russian S-400 missile defense system incompatible with NATO defence systems has made Turkey odd-nation-out in the alliance, leading the U.S. Congress to reconsider delivery of F-35 jet fighters until such time as a final assessment of Turkey's trajectory can be established; which may be a long time coming. In the meantime, Turkey always has the Kurds to bash and the Turkish military is busy emulating Hamas's program in Gaza, demonstrating to the world at large peaceful demonstrations which demonic Israel is reacting to as they they were mechanized artillery attacks laying waste to Israel's fields, forests and nature preserves by shooting at defenceless Arab teens who are amusing themselves by doing what children anywhere do, fly kites; special ones with special appendages. "I've heard lots of stories from kids who've used Juul in front of teachers, and they think it's so funny that their antiquated teacher doesn't realize that it's, in fact, an addictive drug that they're using." "All of our smoking actual tobacco has gone way, way down. [Kids are] very much aware of the risks and consequences of smoking [they just don't believe what they're doing is smoking]." "[Juul is anything but new and different], it represents the cultural norms and notions of the cigarette, which was very much youth-oriented." "It was kind of forbidden; it was extremely cool." "If you tell a youthful generation, ‘This is really for adults,’ that makes it incredibly appealing." "I think the history of this tells me, don’t trust these industries. Juul can say, ‘We’re not interested in kids; we’re going to fight the use of this in kids'." "’But with flavors like mango, and cool cucumber' ... "
Next up: and it's a new product that has been advertising itself directly at that huge demographic to be exploited by unscrupulous purveyors of addictive products. A Juul is a tool with enticing flavours certain to attract the attention of experiment-prone teens who want to be with the 'cool' crowd and don't care all that much about what they're doing to themselves since they happen to be impervious to harm, and it's just so much fun to play those games where you can sneak self-destructive habits under the detection of snoopy adults who exist to spoil all fun. Forget cigarettes -- no one is interested in them any longer; even teens know that they'd be coffin-bound to begin smoking them. E-cigarettes are fine but they're, um out of favour, unstylish, no longer cool. The Juul now, that's something else; in appearance a streamlined little brick looking awfully like a harmless USB flash drive. It's neat, flickering with coloured light. Use it to discreetly puff, and look Ma! no tobacco smell. Er, don't look, Ma. And don't look at Instagram where models boast they're smoking mango and teens post videos of themselves briefly puffing on Juuls. What an adventure! Health professionals -- what do they know anyway -- in a conspiracy to nag on kids, claim the new popularity of Juuling is simply cigarette addiction by another name. And youth are getting hooked on nicotine by public relations campaigns that are relentless and deceiving. The "pods" that fit into those Juuls, tiny pure nicotine, deliciously flavoured like fruit or mint -- those death-in-waiting capsules. $70 will get you a Juul and five "pods" representing the nicotine equivalent of five packs of cigarettes. Coloured lights, juicy flavours, and hello! we're partying! 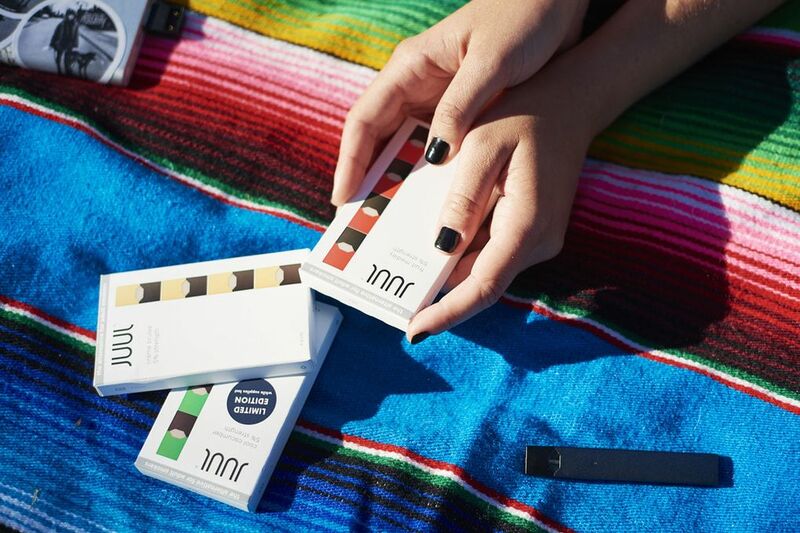 Sales of Juuls have increased over 700 percent from a year earlier, or so Nielsen data tells the interested. Across the United States, schools claim to be confiscating the things from underage students. 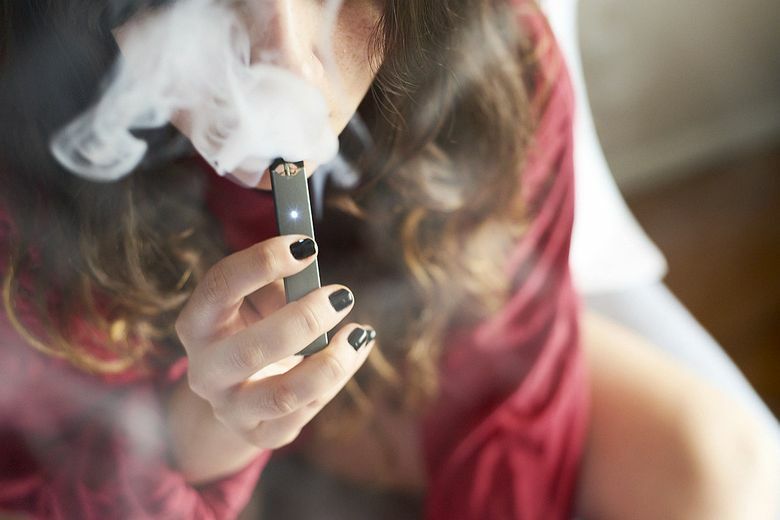 Juul Labs has had three lawsuits recently filed against them, each of which posits users as young as 14 become addicted to Juul, a product marketed as safe. Ashley Gould, chief administrative officer of Juul Labs states that underage Juulers "was not anticipated and completely unexpected to us". The company is now committed to ridding the Internet of social media posts of young people Juuling. "No adult who has never used nicotine should ever use our product", she insists. 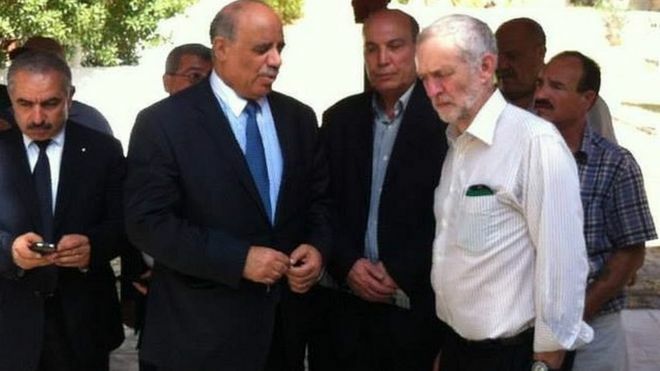 "Jeremy Corbyn should absolutely not be associated with men like that [Maher al-Taher, Syria-based leader-in-exile, Popular Front for the Liberation of Palestine]." "They kill to satisfy their political needs. He needs to come to Israel to see how things really are." "I was unaware of any of his background." "I don't share platforms with terrorists," Mr Corbyn. I don't believe in killing people." "I have attended memorial events for those that have died in the sadness of all of these conflicts, and that is my position." Leader of the British Labour Party, Jeremy Corbyn, a staunch ally of the 'Palestinian cause', has been responsible for a rise among various of the party's members of anti-Semitic statements in fact echoing his own propensity to alienate Jews in Britain who have traditionally supported Labour. His behaviour and the recent revelations of his trip to Tunis in 2014 -- when he was a backbench Member of Parliament, funded by Tunisia, where he was present to lay a wreath honouring Black September members who had been involved in the 1972 Munich Olympic massacre of Israeli athletes and their coach -- has roiled British politics and the press. Several months after that event took place an Israeli-Canadian government auditor, praying at Kehilat Bnei Torah synagogue in Jerusalem was viciously attacked with a meat cleaver as he knelt in prayer. Chaim Rotman was left in a medically induced coma after the attack and died before the year was out. Four rabbis and a police officer were brutally butchered on that day, a day of gruesomely bloody viciousness when two Palestinians from East Jerusalem launched that attack on the synagogue occupants in a barbarous attack. The Popular Front for the Liberation of Palestine was proud to claim "full responsibility" which in Palestinian parlance is to say, full honours for "this heroic operation conducted by our heroes". The two attackers who were themselves killed when police and soldiers responded to the bloodbath were cousins, Uday Abu Jamal, 22 and Ghassan Muhammad Abu Jamal, 32, both affiliated with the PFLP. The company that Jeremy Corbyn keeps is not known to be particularly civilized. Corbyn's political support in Britain is sourced from the hard-left, anti-Zionists while he claims to be involved merely in the struggle to achieve peace at any cost. Gordon Brown the former Labour prime minister, concerned over Corbyn's response to the party's descent into anti-Semitism has stated that the party has "got to change". It has changed, enormously, from the time that Mr. Brown was in office, changed to the point where it is fairly unrecognizable to Jewish Members of Parliament and of the party, much less British Jews in general. Corbyn shared a platform at the International Conference on Monitoring the Palestinian Political and Legal Situation in the Light of Israeli Aggression, with a Hamas leader. He would, needless to say, know that the man beside him was with Hamas, since he considers the terrorist group to be a legitimate government, a group he is proud to speak of as colleagues and friends. Organized by the Centre for Strategic Studies for North Africa, the event's purpose was one of reconciliation -- yet again -- between the two rival factions, Fatah and Hamas. "Now that this has come to light this is unacceptable behaviour. Not just from the person leading the Labour Party but leading her Majesty’s Opposition." "It’s not just about feeling hurt, it’s about confirming concerns. It’s a watershed moment. The leader of Her Majesty’s Opposition is an embarrassment and an electoral liability. How on earth could he be a world leader?" "Bodies are literally dropping all around me from suspected drug overdoses." "I've never seen anything quite this bad happening at once." "The message has to be very clear to people that any time you are taking a synthetic drug, you have really no idea, as we've seen today what you're taking and how that drug is going to affect you." "New Haven is a place where we really are trying to help people." "Someone ... with malice in their heart took advantage of that, took advantage of this vulnerable [lower-income, homeless] population." "But that will not stop this city from reaching its hand out to those who are in need and treating them and providing those services [to those addicted to drugs]." "This is happening nationwide. We're eager to raise awareness at the highest levels of the federal government for a better sense of what happened and the challenges that urban centres face in terms of combating a persistent, vexing presence of people with substance abuse disorder." How ironic that synthetic marijuana has been named K2. For the high, presumably. Did some wit think of K2, the second highest, toughest peak in the Himalayan mountain range second only to Mount Everest, when naming synthetic marijuana? People get their highs in different ways, obviously. And whether it's on an ascent to K2, said to be a more technically difficult summit than Everest, to achieve a conquest of human endurance, energy and physical stamina, gambling with one's life, or choosing a mind-altering chemical instead with the chance that an overdose and death could occur, it's debatable that the latter enriches anyone's life experience. Close to Yale University, the park known as New Haven Green saw 90 people overdosing on a batch of synthetic marijuana, sending local hospitals into emergency mode. On Wednesday, social workers and mental health professionals flooded to the park to what was desribed as a chaotic scene, utter bedlam, as people dropped insensate to the ground, while others vomited and others still simply became unresponsively lethargic. Some 76 people involved in overdoses on Wednesday and an additional six on Thursday, from what is presumed to be the same batch of "K2" synthetic dope. Also called "spice", synthetic marijuana is vegetable material that has been sprayed with chemicals to mimic cannabis. Along with those seem-alike chemicals other, unknown substances could be involved, since some of the victims tested positive for the opioid fentanyl, another laboratory-produced drug posing as a more potent danger to public health entirely. 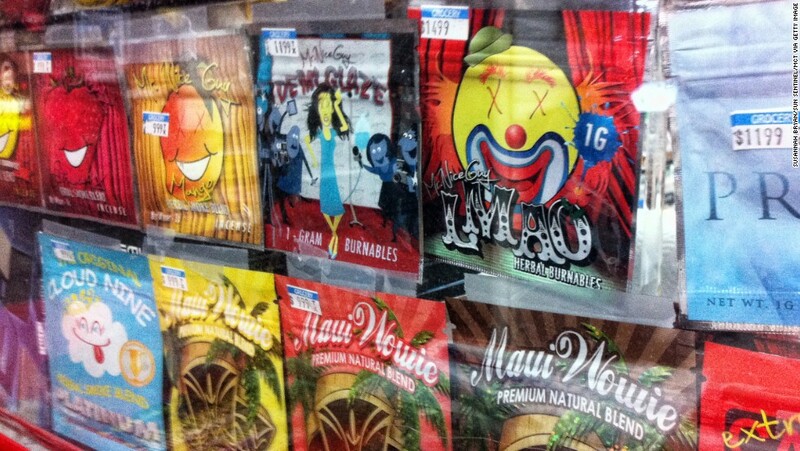 Last month, federal officials issued warnings of the spread of synthetic marijuana across the nation. K2 has caused hundreds of people in a dozen states to be hospitalized in recent months, sometimes accompanied with severe bleeding, while several people have experienced complications sufficiently severe to cause their death. The drug's unpredictability and the tendency of pushers to cut it with opioids, even an anticoagulant used in rat poison, representing the dangerous, unknown factor. Despite which, even with the distribution of warnings, people still seek out these street drugs. For the most part, those afflicted by overdose in New Haven were those of low income and people that were homeless, leading authorities to assume that "somebody was giving these drugs out", free of charge, in the hope they would create a larger clientele of those hooked and thus expand their business, one that comes free of moral conscience. Several suspects have been arrested, connected to the overdoses. Fortunately everyone who was treated survived their ordeal; whether they will be more cautious in future is another thing altogether. The park itself is a heritage area, dating to 1638, one of the oldest in New England, surrounded by Yale University outbuildings, shops, churches and government buildings, all 16 acres of it. That the green has been associated with a shocking mass overdose event reveals the insidious spirit and outreach of the drug problem plaguing present-day society. Toxicology tests have not yet been completed to determine the full extent of the problem inherent in the constituents of the product in question.